Union Dubuque Joins United Premier Soccer League — Union Dubuque F.C. The board of Union Dubuque F.C. are excited to announce that the club has joined the United Premier Soccer League (UPSL), beginning in the 2018 spring season. Union Dubuque will compete in the Midwest Conference of the UPSL. While division alignment has yet to be announced for the Midwest Conference, Union Dubuque is poised to play several historic clubs like Milwaukee Bavarians S.C., the Madison 56ers, and Cedar Rapids Rampage United, an affiliate of the professional arena soccer team of the same name. The UPSL recently eclipsed 100 teams nationwide, spurred in part by absorbing the former Premier League of America into its ranks to form its Midwest conference. Formed in Los Angeles in 2011, the league expanded rapidly due to its leadership and vision for the development of players and the game as a whole in America. 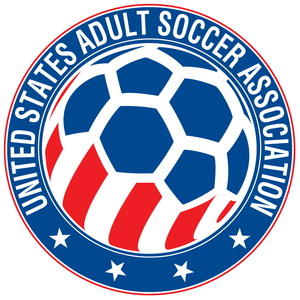 Now represented in 22 states, the UPSL is currently recognized by USASA as an Elite Amateur League and is applying for National status, which would offer direct qualification spots for the Lamar Hunt US Open Cup, where amateur teams take on the biggest clubs in America to be crowned champions of the country. With league membership taken care of, the club continues to round out its first-ever coaching staff while continuing its search for local businesses to partner with. For any questions about the club, tickets, apparel, or for general information, please contact info@uniondfc.com. For more information about the UPSL, visit upslsoccer.com or find them on social media (Facebook and Twitter).